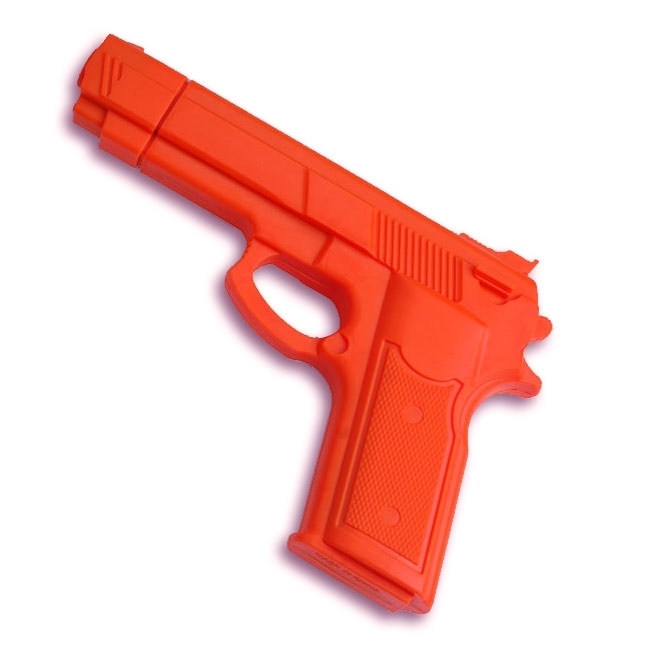 Maximize the effectiveness of your weapons-defense and disarming training with our Orange Rubber Gun! 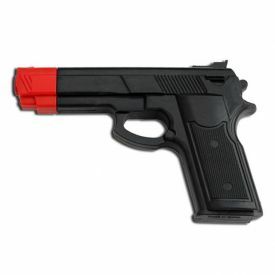 Molded from 15 ounces of solid rubber, this training handgun is heavy enough to feel like the real thing but the bright orange pigmentation will ensure maximum safety by avoiding those awkward situations when people think you really have a gun. 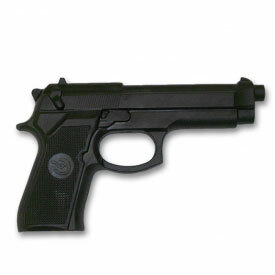 Authenticity is maintained through a subtly detailed design that appears to be modeled after the classic Colt .45 automatic. 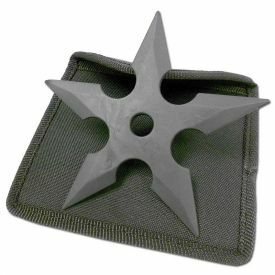 The closer you can get to a feeling of realism, the more effective your training will be. 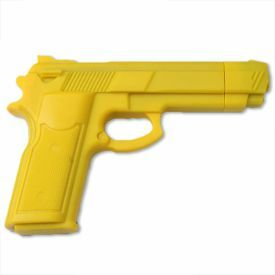 Try a few fake color rubber guns out in your next firearm defense class and create the perfect training environment! 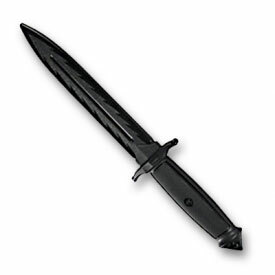 Solid Rubber Material - Stands up to the most vigorous weapons defense training! Safe Orange Color - Won't be mistaken for the real thing!